I had made up my mind. I’d go to bed and wait until they fell asleep. That was always easy to tell because Papa would lock the big, heavy double windows and close the thick greenish-bronze curtains. He’d repeat the same things he said every night after supper, which in those days had become little more than a steaming bowl of tasteless soup. Then Mama would start shouting, her voice cracking as she blamed him. She’d pace the whole apartment—her fortress at the heart of a sinking city; the only space she’d known for more than four months—until she wore herself out. Then she’d embrace Papa, and her feeble moans would finally cease. I’d wait a couple of hours. They wouldn’t put up any resistance. I knew Papa had already given up and was willing to go. Mama would be more difficult, but she took so many sleeping pills, she’d be fast asleep, steeped in her jasmine and geranium essences. Although she had gradually increased the dose, she still awakened during the night crying. I would rush to see what had happened, but all I could make out through the half-open door was Mama inconsolable in Papa’s arms, like a little girl recovering from a terrible nightmare. Except that, for her, the nightmare was being awake. Nobody heard my cries anymore; nobody bothered about them. Papa told me I was strong. I would survive whatever happened. But not Mama. The pain was gnawing away at her. She was the child in a house where daylight was no longer allowed. For four months, she had been sobbing each night, ever since the city was covered in broken glass and filled with the constant stench of gunpowder, metal, and smoke. That was when they started planning our escape. They decided we’d abandon the house where I was born, and forbade me to go to school, where nobody liked me anymore. Then Papa gave me my second camera. “So that you can leave a trail out of the labyrinth like Ariadne,” he whispered. I dared to think it would be best to be rid of them. I thought about diluting aspirin in Papa’s food or stealing Mama’s sleeping pills—she wouldn’t last a week without them. The only problem was, first of all, my doubts. How many aspirin would he have to swallow to give him a lethal ulcer, internal bleeding? How long could Mama really survive without sleep? Anything bloody was out of the question, because I couldn’t bear the sight of blood. So the best thing would be for them to die of suffocation. To smother them with a huge feather pillow. Mama made it clear that her dream had always been for death to take her by surprise while she slept. “I can’t bear farewells,” she would say, staring straight at me—or, if I wasn’t listening, she would grab me by the arm and squeeze it with the little strength she had left. One night I woke up during the night in tears, thinking my crime had already been committed. I could see my parents’ lifeless bodies but was unable to shed a single tear. I felt free. Now there would be no one to force me to move to a filthy neighborhood, to leave behind my books, my photographs, my cameras, to live with the terror of being poisoned by your own father and mother. I started to tremble. I called out “Papa!” But no one came to my rescue. “Mama!” There was no going back. What had I turned into? How did I end up so low? What would I do with their bodies? How long would it take for them to decompose? Everyone would think it was suicide. No one would question it. My parents had been suffering constantly for four months by then. Others would see me as an orphan; I’d see myself as a murderer. My crime existed in the dictionary. I looked it up. What a dreadful word. Just saying it gave me the shivers. Parricide. I tried to repeat it and couldn’t. I was a murderer. It was so easy to identify my crime, my guilt, my agony. What about my parents, who were planning to get rid of me? What was the name for someone who killed their children? Was that such a terrible crime there wasn’t even a word for it in the dictionary? That meant they could get away with it. Whereas I had to bear the weight of death and a nauseating word. You could kill your parents, your brothers and sisters. But not your children. I prowled through the rooms, which to me seemed increasingly small and dark, in a house that would soon no longer be ours. I looked up at the unreachable ceiling, walked down hallways lined with the images of a family that was disappearing little by little. Light from the lamp with the snowy-white shade in Papa’s library filtered out into the corridor where I stood disoriented, unable to move. I watched as my pale hands turned golden. I opened my eyes and was in the same bedroom, surrounded by well-worn books and dolls I had never played with, nor ever would. I closed my eyes and sensed it wouldn’t be long before we fled without a set destination on a huge ocean liner from a port in this country where we had never belonged. In the end, I didn’t kill my parents. I didn’t have to. Papa and Mama were the guilty ones. They forced me to throw myself into the abyss alongside them. The apartment’s smell had become intolerable. I didn’t understand how Mama could live between those walls lined with moss-green silk that swallowed what little daylight there was at that time of year. It was the smell of enclosure. We had less time to live. I knew it; I felt it. We wouldn’t be spending the summer there in Berlin. Mama had put mothballs in the closets to preserve her world, and the pungent odor filled the apartment. I had no idea what she was trying to protect, since we were going to lose everything regardless. “You smell like the old ladies on Grosse Hamburger Strasse,” Leo taunted me. Leo was my only friend; the one person who dared look me in the face without wanting to spit on me. Spring in Berlin was cold and rainy, but Papa often left without taking his coat. Whenever he went out in those days, he wouldn’t wait for the elevator but took the stairs, which creaked as he trod on them. I wasn’t allowed to use the stairs, though. He didn’t walk down because he was in a hurry but because he didn’t want to bump into anyone else from the building. The five families living on the floors beneath ours were all waiting for us to leave. Those who were once our friends were no longer friendly. Those who used to thank Papa or who tried to ingratiate themselves with Mama and her friends—who praised her good taste or asked for advice on how to make a brightly colored handbag match their fashionable shoes—now looked down their noses at us and could denounce us at any moment. Mama spent yet another day without going out. Every morning when she got up, she would fasten her ruby earrings and smooth back her beautiful, thick hair—which was the envy of her friends whenever she appeared in the tearoom of the Hotel Adlon. Papa called her the Goddess, because she was so fascinated by the cinema, which was her only contact with the outside world. She would never miss the first night of any film starring the real screen goddess, “La Divine” Greta Garbo, at the Palast. “She’s more German than anyone,” she would insist whenever she mentioned the divine Garbo, who was, in fact, Swedish. But back then motion pictures were silent, and no one cared where the star had been born. She would swoon in Papa’s arms, raise a hand to her brow, the other holding up the silk train of a cascading dress, toss back her head, and start talking in French. “Armand, Armand . . .” she would repeat languidly and with a strong accent, like La Divine herself. But Mama no longer went anywhere. “Too many smashed windows” had been her excuse ever since the previous November’s terrible pogrom, when Papa had lost his job. He had been arrested at his university office and taken to the station on Grolmanstrasse, kept incommunicado for an offense we never understood. He shared a windowless cell with Leo’s father, Herr Martin. After they were released, the two would get together daily—and that worried Mama even more, as if they were planning an escape she was not prepared for yet. Fear was what prevented her from leaving her fortress. She lived in a state of constant agitation. Before, she used to go to the elegant salon at the Hotel Kaiserhof, just a few blocks away, but eventually it was full of the people who hated us: the ones who thought they were pure, whom Leo called Ogres. During those days, she would peer out the window, trying to find a reason for what was happening. What had become of her happy years? What had she been sentenced to, and why? She felt she was paying for the offenses of others: her parents, grandparents—every one of her ancestors throughout the centuries. “I’m German, Hannah. I am a Strauss. Alma Strauss. Isn’t that enough, Hannah?” she said to me in German, and then in Spanish, and in English, and finally in French. As if someone were listening to her; as if to make her message entirely clear in each of the four languages she spoke fluently. I had agreed to meet Leo that day to go take photographs. We would see each other every afternoon at Frau Falkenhorst’s café near Hackescher Markt. Whenever she spotted us, the owner would smile and call us “bandits.” We liked that. If either of us was later than expected, the first to arrive had to order a hot chocolate. Sometimes we’d arrange to meet at the café near the Alexanderplatz Station exit, which had shelves filled with sweets wrapped in silver paper. When he needed to see me urgently, Leo would wait for me at the newspaper kiosk near my home, allowing us to avoid running into any of our neighbors, who, despite also being our tenants, always shunned us. In order not to disobey the adults, I bypassed the carpeted stairs, which were increasingly dusty, and took the elevator. It stopped at the third floor. “Hello, Frau Hofmeister,” I said, smiling at her daughter, Gretel, who used to be my playmate. Gretel was sad, because not long before, she had lost her beautiful white puppy. I felt so sorry for her. As if I wasn’t listening, as if it was only my shadow standing inside the elevator. As if I didn’t exist. That’s what she wanted: for me not to exist. The Ditmars, Hartmanns, Brauers, and Schultzes lived in our building. We rented them their apartments. The building had belonged to Mama’s family since before she was born. They were the ones who should leave. They were not from here. We were. We were more German than they were. The elevator door closed, it started to go down, and I could still see Gretel’s feet. Had I heard it right? What have we done for me to have to endure that? What crime had we committed? I was not dirty. I didn’t want people to think of me as dirty. I came out of the elevator and hid under the stairs so I wouldn’t meet them again. I saw them leave the building. Gretel’s head was still bowed. She glanced backward, looking for me, perhaps wanting to apologize, but her mother pushed her on. “What are you staring at?” she shouted. I ran back up the stairs noisily, in tears. Yes, crying with rage and impotence because I could not tell Frau Hofmeister that she was dirtier than I was. If we bothered her, she could leave the building; it was our building. I wanted to hit the walls, smash the valuable camera my father had given me. I entered our apartment, and Mama could not understand why I was so furious. “Hannah! Hannah!” she called out to me, but I chose to ignore her. I went into the cold bathroom, slammed the door, and turned on the shower. I was still crying; or rather, I wanted to stop crying but found it impossible. Fully clothed and wearing my shoes, I climbed into the perfectly white bathtub. Mama kept on calling to me and then finally left me in peace. All I could hear was the sound of the scalding water cascading onto me. I let it flow into my eyes until they burned; into my ears, my nose, my mouth. I started to take off my clothes and shoes, which were heavier because of the water and my dirtiness. I soaped myself, smeared on Mama’s bath salts that irritated my skin, and rubbed myself with a white towel to get rid of every last trace of impurity. My skin was red, as red as if it was going to peel. I turned the water even hotter, until I couldn’t take it anymore. When I came out of the shower, I collapsed on the cold black-and-white tiles. Fortunately, I had run out of tears. I dried myself, scrubbing hard at this skin I didn’t want and which, God willing, would start to slough off after all the heat I’d subjected it to. I examined every pore in front of the steamed-up mirror: face, hands, feet, ears—everything—to see if there was any trace of impurity left. I wanted to know who was the dirty one now. I cowered in a corner, trembling, shrinking, feeling like a slab of meat and bone. This was my only hiding place. In the end, I knew that however much I washed, burned my skin, cut my hair, gouged out my eyes, turned deaf, however much I dressed or talked differently, or took on a different name, they would always see me as impure. 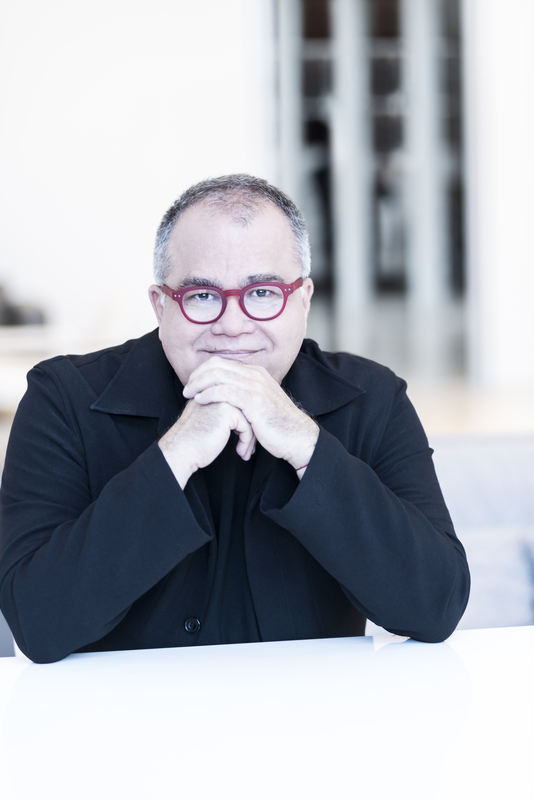 It might not have been a bad idea to knock at the distinguished Frau Hofmeister’s door to ask her to check that I didn’t have any tiny stain on my skin, that she didn’t have to keep Gretel away from me, that I wasn’t a bad influence on her child, who was as blond, perfect, and immaculate as me. I went to my room and dressed all in white and pink, the purest colors I could find in my wardrobe. I went looking for Mama and hugged her, because I knew she understood me; even though she chose to stay at home and so didn’t have to face anyone. She had built a fortress in her room, which in turn was protected by the apartment’s thick columns, in a building made up of enormous stone blocks and double windows. I had to be quick. Leo must have already been at the station, darting all over the place, trying to stay out of the way of people running to catch their trains. At least I knew that he thought of me as being clean. This reading group guide for The German Girl includes an introduction, discussion questions, and ideas for enhancing your book club. The suggested questions are intended to help your reading group find new and interesting angles and topics for your discussion. We hope that these ideas will enrich your conversation and increase your enjoyment of the book. Hannah Rosenthal woke up one morning in the spring of 1939 to find that her charmed life had been completely shattered. Germany was on the brink of war, and all she and her best friend, Leo, could do was depend on each other. Hope appeared in the form of the SS St. Louis, a transatlantic liner offering Jews safe passage out of Germany. But soon ominous rumors from Cuba undermined the passengers’ fragile sense of safety. From one day to the next, the ship that once was their salvation seemed likely to become their doom. Seven decades later in New York City, twelve-year-old Anna Rosen received a strange package, which would lead her and her mother on a journey to Havana to learn the truth about their family’s mysterious and tragic past, and to help her finally understand her place and her purpose in the world. 1. “I was almost twelve years old when I decided to kill my parents.” The book opens on a pretty dark scene in which Hannah believes death is the best way out of her current situation. Why do you think she feels this way? How does this set the tone for the rest of the book? 2. Consider Hannah’s reaction to being called “dirty” and then her reaction to being confused for an Aryan and ending up on the cover of Das Deutsche Mädel. 3. When Alma boards the St. Louis, she is wearing her best outfit and jewelry. Why is it so important for her to dress well as she leaves Germany? What message is she trying to send? 4. People praised The German Girl as “a timely must-read.” There are telegraphs and various news headlines interspersed throughout Hannah’s journey on the St. Louis, broadcasting the political climate and crises of the time. How do these compare to today’s headlines and crises? 5. Had you heard of the tragedy of the St. Louis prior to reading this book? How would those refugees have benefited from today’s social media exposure versus the newspaper coverage of the time? 6. Why does Hannah’s family feel betrayed by her brother’s involvement in the Cuban Revolution? How is it similar to their experience in Berlin prior to leaving Germany for Cuba? 7. There are many parallels in The German Girl. Among them are Alma’s and Ida’s reactions to grief, forcing their daughters to assume more responsibilities at a young age. What do you think of their insistence upon wanting to erase the past to make the present more bearable? Does this coping mechanism ever really help? 8. Compare and contrast Hannah and Anna and their reactions to loss. How have the tragedies experienced by the Rosenthals bound them together and affected the other? 9. The 907 passengers who were not allowed to disembark in Cuba—and were later also rejected by the United States and Canada—found refuge in Great Britain (288), the Netherlands (181), Belgium (214), and France (224), before all but those taken in by Great Britain were claimed by the war. What do you think happened to the passengers in the moments before they disembarked in those countries? How do you think the locals reacted to their arrival? 10. Hannah keeps the little blue box all those years without ever opening it. Why do you think she kept her promise? What did you expect Hannah to find in the little blue box? 11. What does Anna represent for the Rosen family? Why was it important for Anna to meet Hannah and finally bring closure to their family history? 1. The German Girl has been compared to The Nightingale, Schindler’s List, and All the Light We Cannot See. Read those titles with your book club and compare it to The German Girl. Are there any similar themes that occur? In what ways do you think that the books are alike? 2. Through Hannah and Anna, the author ties together the events of World War II (1939–1945), the Cuban Revolution (1959), and the September 11 attacks (2001). Research these three time periods and events. Have you ever considered how these events would be connected in other ways? What are the differences and similarities between these moments in history and the conflicts that inspired them or that they inspired? 3. 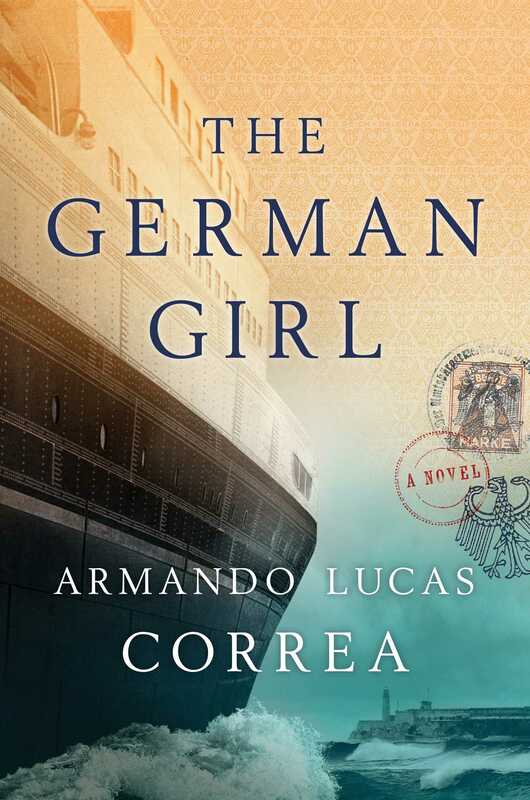 To learn more about Armando Lucas Correa, read reviews of The German Girl and find him on tour, visit his official site at www.armandolucascorrea.com and the book’s official site at http://thegermangirl.squarespace.com/.